In our work with enterprise clients from all over the world, one truth consistently reveals itself: the freshest data with the highest quality produces SEO successes. To drive results, enterprises must rely on their keyword ranking and research data to make the best decisions. The reality is that anyone can gather ranking data. It isn't proprietary information. For keyword ranking, for example, an SEO could choose a neutral browser, type in a keyword and record all pages ranking for that keyword. But, this process is not scalable to gain the insights you need to drive results. Apart from that, there is an increasing amount of tools on the market designed to collect ranking data, making it difficult to select the best solution that fits your requirements. Choosing the right SEO tool for your enterprise requires a research in a very crowded market with varying levels of features, capabilities, and pricing. What do enterprise SEO programs need to consider when selecting their SEO ranking and research tools? Quality: Can I trust the accuracy of rank tracking? Is the data delivered reliably? Freshness: When was the data last updated? Scale: Does the user interface and capabilities apply when tracking thousands or tens of thousands of keywords? Relevancy: Does the keyword research database cover your industry adequately? Rand Fishkin once noted that many in the industry question whether or not rankings should be tracked. Personalization (aka bias), location, and device type affect rankings and eliminate the “one true ranking”. Effectively, Google and other search engines have introduced too many variables to get an accurate keyword rank or gain reliable keyword research - easily, at least. The shifts of Google's ever-changing SERP, variation in results and rankings based on location or device type, drive the volumes of ranking data aggregation needed to understand your ranking performance. Even with the many variables of search engines today like local results, featured snippets, and paid search ads, ranking is a vital piece of data. Being in the top spot of an organic search may not produce a lower CTR, but the top three search results still get 55% or more of clicks. There is an up side to these challenges, however: it highlights the importance of data quality, freshness of that data, and the ability analyze a vast amount of it at scale. 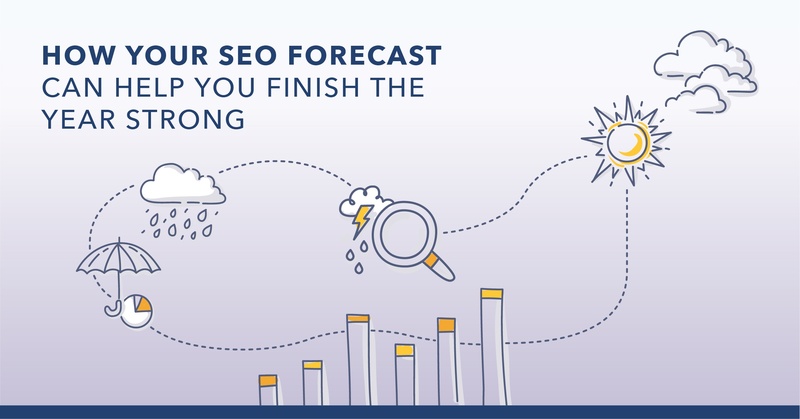 Earlier this year, even SEMrush announced that they were making changes to keep their keywords up-to-date and ensure data users were receiving the latest-and-greatest information. For enterprises, data quality directly affects the value of keyword research and the understanding of your ranking performance. The implications stretch through two types of tools: Keyword Rank Tracking tools and Keyword Research tools. We cover the impact of both of these, each in its own section. Frankly, the people who question the value of their rankings should be tracked are correct if the keyword ranking data they’re paying for isn't done with accuracy and arrives consistently. As I noted at the beginning of the article, anyone can retrieve keyword ranking data. It’s available every day to everyone. But, they can't do this at scale without using technology to retrieve that information. On Accuracy: Does the company you’re working with own that process of collecting the data? How much transparency is there in the data you see? Many tools leverage third party suppliers which can come with potential limitations that affect how much data they can get and also its freshness. On Reliability: How are ranking results delivered? If tracking ranking data from the United Kingdom and the United States, you want your data retrieved from the correct geo-location. Are they delivered on-time and consistently? Are they keeping up with the changes in the SERP? Some tools are a one-size fits all approach. On Scale: Can you analyze and use the data provided at scale through their user experience within the tool? Can you easily export it to integrate into your data warehouses? Ultimately, it’s important to remember that keyword ranking data isn’t proprietary. What makes a data source – the keyword rank tracking tool – proprietary is how it retrieves, crawls, stores and analyzes its data. As well as the breadth and depth it’s available for your use. What countries, search engines, and search results are important to your business. Have you considered local, geo-ranking data, search features results like videos, images, and local business listings? The reason why it’s important to understand is simple. Collecting data has a cost. And today there’s more data with the ever-changing (and crowded) Google search results page, search results based on location, device type and other bias. This can lead to challenges for some tools - like higher fees to track fewer keywords or decreased data availability in terms of volume or less frequent updates, all of which means less quality data. Is this really happening? You bet it is. Rank Intelligence. Within the platform, we transform ranking data into ranking insights. It uses machine-learning and AI to connect data points so that SEOs can filter, analyze, and retrieve ranking data on-the-fly which further enhances analysis. And, most important gives an accurate picture of your performance and what actions to take. “Infinite” keywords. We tested our Rank Intelligence tool on eBay’s massive keyword ranking portfolio and were able to track, monitor, analyze and even filter eBay’s vast number of keywords with on-the-fly reporting. Note: eBay isn’t a client, we wanted to battle test our offering on one of the biggest sites online. Daily (or weekly) ranking of all keywords for all search engines in all countries. We retrieve keyword data from 80+ countries from 190+ search engines. Inclusion of every universal rank type! 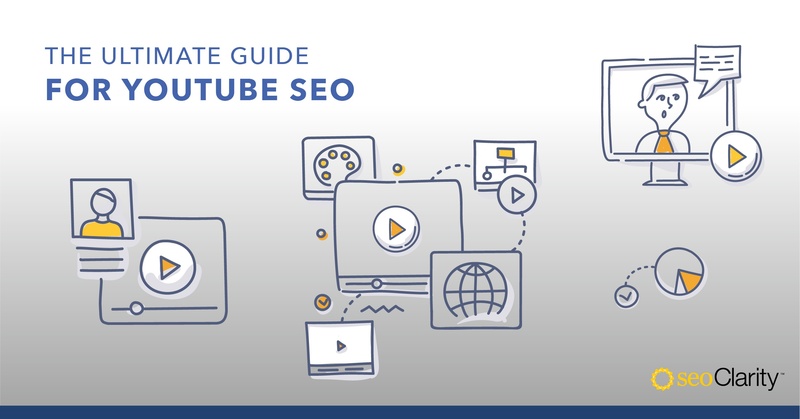 This includes local map pack, video, images, product listing ads, featured snippets and more. Local results by geo-location. This is a game-changer for enterprises with thousands of locations that rely on foot-traffic. Plus, the top 100 local listings results displayed in Google Maps. Complete data transparency. You can see when the ranking data was pulled and access the SERP preview so you can validate ranking results whenever you want. These represent how seoClarity addresses the challenges faced by rank tracking tools in relationship to data. With this data though we can go further such as with unlimited competitor searches and real-time exploration in the platform, eliminating the need to work with unwieldy spreadsheets or third-party BI tools. This is enterprise rank tracking at scale - there is nothing like it in the marketplace today. Of course, keyword rank tracking is only one data challenge for enterprises. Keyword research is the other. Like keyword ranking tools, keyword research tools need to collect and process a lot of data to identify keyword value. 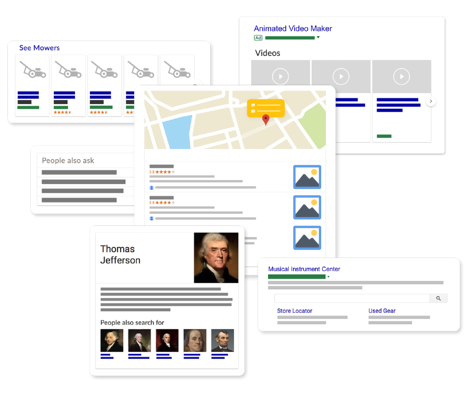 Google’s focus on user experience begs the question, do keywords really matter anymore? And if not, should enterprises care about the quality, quantity, and relevancy of keyword databases? The simple answer is yes. Keywords still play a role, albeit a smaller role, in search engine ranking. In terms of research though, keywords reveal the topics your audience wants to see, what they’re looking for and how much demand exists. Should Enterprises Care About the Quality and Relevance of Keyword Databases? If keywords do matter, then yes, the quality of a database is important. An outdated keyword database is full of “junk.” If the recency of the keyword demand isn't updated, you can miss important trends on seasonality, change in customer demand, etc. A massive database full of outdated data will tell you what was important when the data was retrieved, but may not match what’s currently on your audience’s mind. The size of the database is essential, as long as it covers your industry adequately. Is there transparency of the keyword coverage within your industry? Can you contribute to that keyword database? If your industry isn't adequately covered, are you driving your content decisions or even your overall visibility (rankings) from an insufficient database that doesn't give you an accurate picture. Good decisions come from good data. This means it’s of good quality, arrives with accuracy, delivered reliably, updates frequently (at least once a month), and contains relevancy for your industry. This, ultimately, is a data set that offers enterprise-grade analysis and insights. When was the last time keywords were updated? Can I confirm that my industry is covered? A giant keyword database does not mean adequate industry coverage. To get the right picture of keyword value, you need to know about the keywords that affect you. For enterprises, the importance of transparency concerning SEO data sources cannot be understated. Being out of touch with the customer base does more than generate poor SEO results. The company loses revenue it could have made by understanding customers better and delivering the content and products of greatest interest in any given moment. Freshness of data. The database updates throughout the month, every month so that clients never miss a change or trend and can see the state of the search landscape clearly. No data bias. Every client can see when a keyword was added and the recency of the update. And, to ensure we have complete coverage, we offer clients the ability to contribute quality keywords to the Research Grid. Unlimited view of keywords. Not only the keywords you know are tracked but even those that you don’t. Access to the entire search landscape, and across the globe. The Research Grid features a database that cover 80+ countries. An enterprise needs to trust their data providers and understand that accurate data is delivered reliably with frequency and that your team is able to analyze and use the data at scale. If you didn’t trust financial data, you’d find a new provider. If your marketing team couldn’t rely on the customer data it’s provided, they’d question the ads, copy and campaigns they created, and it would show in the results. The same is true for SEO data. The good news is that with a few simple questions, SEOs and marketers can know exactly what they’re getting and protect the enterprise's SEO investment and create remarkable results. All that’s needed is to insist on data transparency from a reliable technology partner. That's where seoClarity comes in, providing your enterprise with consistent, reliable, and fresh data to drive the best results and make the best decisions.